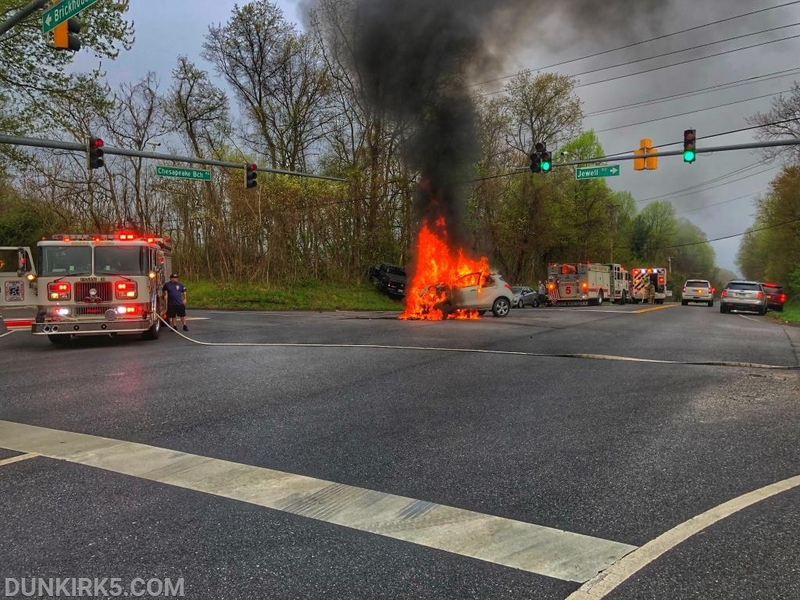 Dunkirk VFD Squad 5, Engine 52, Tanker 5, Ambulance 59, the Fire Chief & Deputy Chief arrived on location with a two-vehicle head-on accident with fire and one person unconscious. 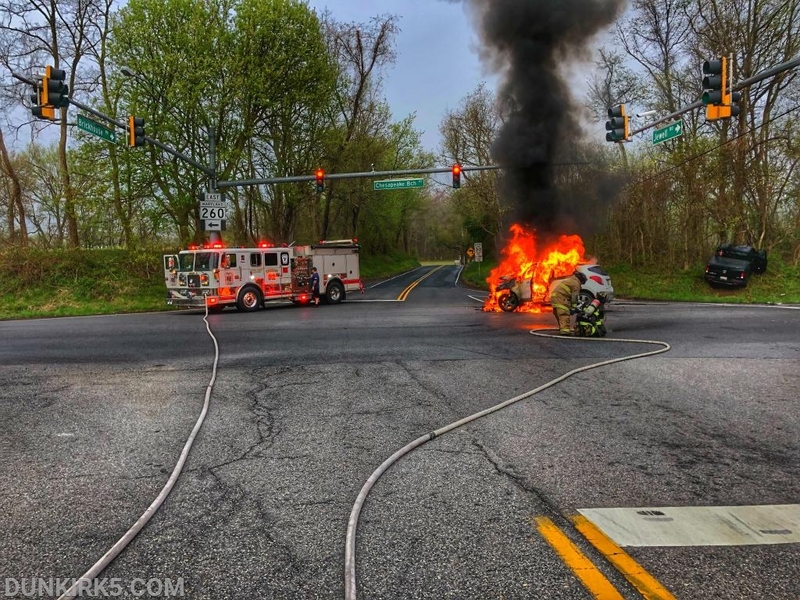 Prior to fire department arrival, two Good Samaritans were able to free the lady from the burning vehicle. The crew from Squad 5 & Ambulance 59 began EMS care of the patient while the crew from Engine 52 deployed the front bumper line making quick work of the fire. Aviation was requested however due to weather, helicopters were grounded. One person was transported to a local trauma center.